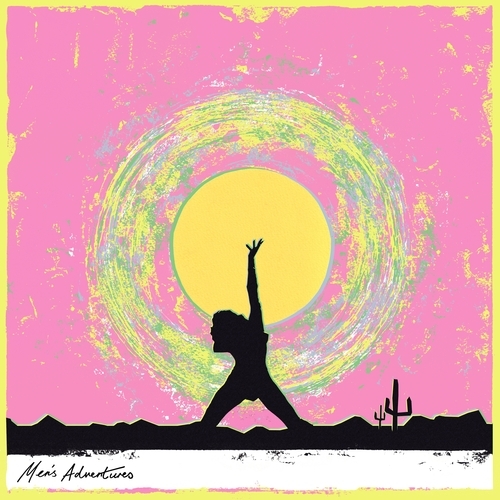 Named after and inspired by the 60’s and 70’s comic book series, London duo Men’s Adventures draw inspiration from the imaginative narratives of classic animated fiction and marry these with an emotive take on surf, Western and psychedelic rock. Their debut EP Solitary Trip was recorded over an intensive two weeks, the sense of restless energy is palpable, from the rollicking shuffle and spectral overtones of ‘BB Vulture’ to the anthemic refrain and uplifting folk-rock of ‘Friends’. ‘Welcome Home’ is an impassioned country-tinged ballad as filtered through forlorn and feedback-drenched guitars, while ‘Feeling Bad’ with it’s twangy San Remo guitars and cinematic surf-rock plays out like the likely backdrop a Tarantino scene.